I've been a bad blogger. I truly apologize for my internet absence (looks like the last monday musing was 3 weeks ago... oops). Tumblr recently stopped working at work so not only can I no longer read tumblr blogs, I cannot write new posts. Let's be honest here, people who say they don't blog at work are lying. 1. Since we last spoke, lots of wedding progress has been made. More to come on that after Save The Dates go out! But the good news is, we have a date to save! I've also been having a lot of fun working on the website. I'm so anxious to let it go live! In the meantime, I'm knee deep in catering menus and band song lists. 3. Oh by the way, hi 2013! The holidays really came and went in a flash. C managed to come down with cold while he was home that he kindly shared with me when we were reunited in Dallas. We spent much of our break house bound and on the couch. We did manage to make it out of the house for New Year's with some friends which was a treat. 4. We've been a lot better about meal planning and cooking for the week. 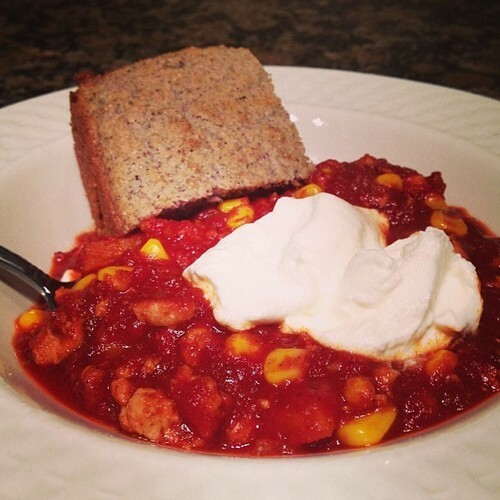 Last week, I made Turkey Corn Chili and we lived off of that for several days. This week we have spaghetti, chicken tikka masala, and chicken alfredo on the menu. We'll probably end up doing a "breakfast for dinner" night as well. 5. BREAKING: I FINALLY got LASIK!!! Friday morning I went under the laser and left with 20/20 vision! I'm sure there are people out there who'd like to know more about the procedure so there will be a post on that coming soon! 6. We have lots of fun visits and trips and events on the calendar for the next two months. C turns 30 at the end of the month but we're still undecided on how to celebrate. C's high school bestie (and our wedding photographer! ), Maria, is coming to visit us in Dallas with her husband and their son, Finn! I think it'll be the perfect opportunity to finally get to the new Perot Nature & Science Museum. 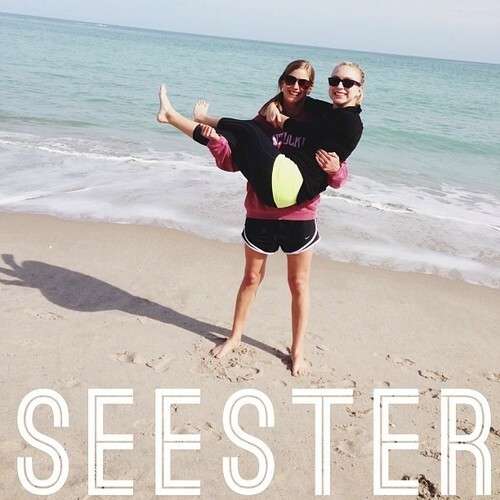 At the end of February, the little sister comes for a visit and we'll celebrate my 25th birthday! 7. Ok let's talk TV. We saw Les Mis. What am I missing people? It just did nothing for me. Zero Dark Thirty, however, was amazing. CIA, please hire me. We also started watching Downton Abbey because we can't be left out of anything. We're into Season 2 already but I'm just not sure about it. Sometimes the acting is terrible. I'd like someone to poison Thomas and O'Brien. Don't spill anything though since we're not caught up. 8. I can't say that I have any resolutions for 2013 but I know it will be an exciting year. So many changes and new chapters and I'm ready for all of it. Bring. It. On. 2013.